As I promised in this post, here’s a list of best French songs of 2010. I know it’s really late for that but, since this is a new blog, I guess that could be used as a good excuse. 2010 was incredibly good for French music, we’ve had Zaz and Ben l’Oncle Soul, and in my opinion, the two of them are all a year needs to be considered good. 1. 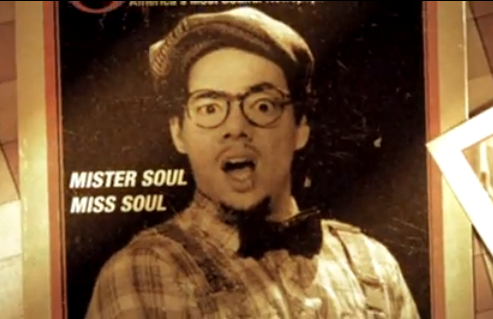 Soulman – Ben l’Oncle Soul (Ben l’Oncle Soul) – I’m not even commenting on this choice. I love him. I know it’s pop and I know it’s not as deep as a Benjamin Biolay song, but who says that music has to be deep all the time? This song brightens my day, and that’s good enough for me. 2. La Fée – Zaz (Zaz L’album) Undoubtedly, Zaz was the great revelation in 2010. Even though I do prefer Ben and I like Soulman better than any of the Zaz’s songs, I do recognize her value and I even think that maybe this list would be more respectful if I had putted Zaz in first place. 3. Come Home – Yael Naim (She was a boy) – Yaim’s second album didn’t disappoint me, even not having such great review. Come Home is one of those songs that reminds me of early mornings and sunshine. 4. La Banane – Philippe Katerine (Philippe Katerine) – the very controversial Katerine surprised everyone with a weird funny record that divided the critics. I remember reading somewhere a critic asking himself “is he a real genious or is he really stupid?”. 5. Ame Sensible – Lili Ster (La Castafiore) – There’s a very cute video with this song on Youtube, click here to watch. 6. Dites-les avec des flingues – Bejamin Paulin (L’homme moderne) – With a gainsbournian look, Benjamin arrived in 2010 ready for action. He recently announced a new record, to be released in the Summer. 7. L’idole de Jeunes – Keren Ann and Benjamin Biolay (Thelma, Louise et Chantal BO) – this one goes against all the year’s lists: it’s worse than a version, it’s a version of a version! Still I liked it so much that I just can’t resist. 9. Le Patriote – Raphaël (Pacific 231) – And I’m not even a fan!